The holiday home in Tyresö offers good fishing and swimming spots in the Estraviken (200 m). Nearby are sandy beaches, cafes and restaurants, Tyresö golf course, sports center and shopping center. Beautiful destinations are the Tyresta National Park, the Telegrafberget and the castle Tyresö. Stockholm islands and streams are also worth seeing. Take a cruise on the Waxholmsbolagets Archipelago from the Trinntorps Brygga jetty. Summer flea markets are nearby. 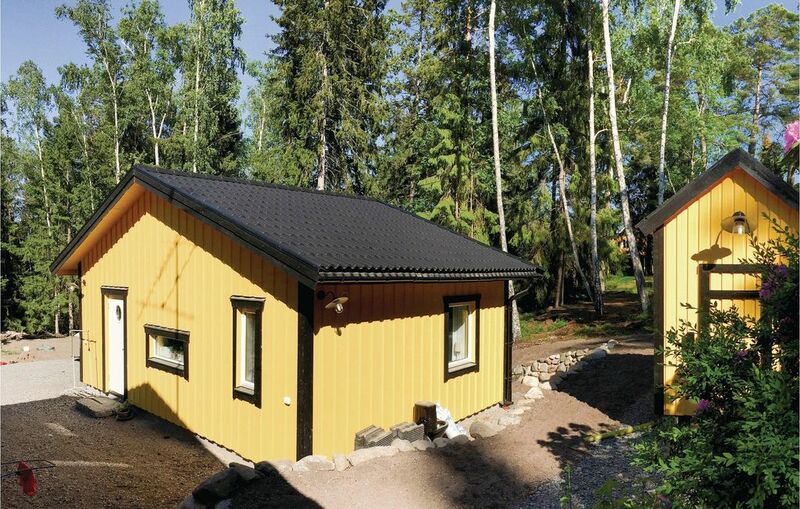 The house is situated on a forest property shared with the owner. Good transport links to Stockholm, a bus stop near the property. Der nahe gelegene Strandabschnitt ist klein, aber sehr schön und schnell zu erreichen. Alles da, was man braucht! Alle und alles sehr sympathisch.